Worldwide manufacturing brand, Armstrong Fluid Technology have signed up as Manchester Million supporters. With seven facilities across the world, including one in Ardwick, the manufacturers have signed on to support us for the next 12 months. With more than 1,000 employees worldwide, operating seven manufacturing facilities on three continents, Armstrong Fluid Technology is known around the world as a leader and innovator in design, engineering and manufacturing of integrated solutions within the building oriented fluid-flow equipment industry. Armstrong products are internationally recognised for design quality, long service life, and operating economy. To see our other Corporate Partners view our Corporate Wall. 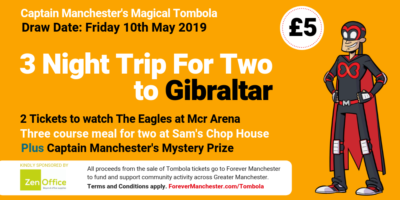 If you are interested in supporting us in the many ways possible, please contact Jean Mills on jean@forevermanchester.com or call 0161 214 0940.